Win Blevins is an author whom I had not heard of before reading this, though that’s likely because my exposure to western fiction has been severely limited. In So Wild a Dream, young man Sam Morgan begins an epic journey. Stealing away on a flatboat he occasions into a series of characters familiar from our history books (such as William Clark and Jedediah Smith) and encounters a number of different Indian tribes where he falls in love, learns the native ways of doing simple tasks, and faces a cruel death. His response to the latter is to flee and with only a coyote pup as a companion, travels 700 miles on foot to return to the relative safety of a white man’s fort. But the journey of Sam Morgan doesn’t end there … it is only just beginning. This book is not unlike Homer’s Odyssey, with Sam Morgan as our western Odysseus on an epic return home and running in to all sorts of characters, educational situations, and threats on his life. Morgan’s encounters with historical figures were less interesting to me than the time he spent with the Indians (I’ll use the politically incorrect term here as it’s the historical term for the Native Americans). The meeting of Clark and Smith (and others) sometimes felt as though it were included for its cleverness and to help establish the time frame for Morgan, neither of which was necessary. It wasn’t distracting as much as it was just not important to me. On the other hand, Morgan’s interactions with the various Indian tribes was really eye-opening (from a historical point of view). This really hit home how the different tribes worked and lived so differently from one another. We (or at least I) tend to lump them together in their behavior and societal structure. The book is the first in a series and I will really look forward to reading more of this tremendous adventure. Looking for a good book? 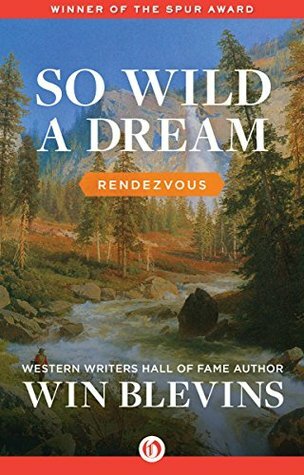 So Wild a Dream is an epic western adventure by Win Blevins in the tradition of Homer, and brings with it some great American history. WILD PITCH – A. B. Guthrie, Jr. When we typically think of ‘western’ fiction, we’re imagining cowboy and wandering soldiers in the 1800’s, exploring a vast, largely unexplored wilderness west of the Mississippi River. A.B. Guthrie Jr.’s Wild Pitch is less a western than it is a mystery set in the American Southwest. I was not aware of the time frame until I ran across in which someone was “led out to his car, which was his own (not the county’s) and brought him maybe enough money in mileage for operation and maintenance.” Huh? Someone drives a gas-fueled automobile in the old west? Oh…so it ISN’T the old west… It definitely took me a bit to overcome this expectation. Sheriff Chick Charleston is a quiet man working in a remote wilderness setting, so when a local curmudgeon is shot during a nighttime picnic, it’s business as ‘unusual’ for him. Buster Hogue has no shortage of people who would want to see him dead, so Chick’s list of suspects is plenty long, even for such a small community. 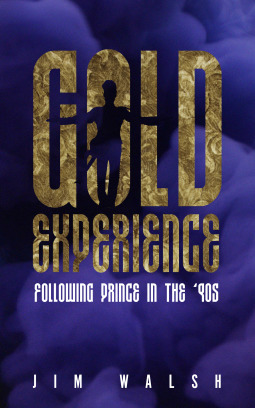 The story is told from the viewpoint of seventeen-year-old Jason Beard who works part-time for Chick. It’s a really interesting concept and allows for some unique observations and theories that, coming from a young man, aren’t always accurate. I was reminded of Sheriff Longmire (a series I only recently discovered), though Chick appears a little more laid back than Longmire. The mystery is nicely developed and the cast of characters from this rural Montana location is quite colorful (and yet most of us can recognize familiar people here). The relationship of mentor/student between Chick and Jason is really fascinating and is what makes me want to read more in this series. Given Longmire’s popularity this is a good time to reissue this older series and I hope it will be enjoyed by a new generation of readers. Looking for a good book? 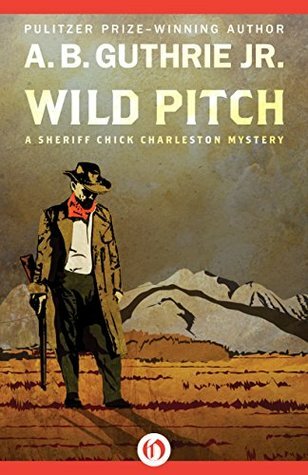 Wild Pitch, by A.B. Guthrie, Jr., is the first book in a modern western mystery series and should be enjoyed by fans of both mysteries and westerns. author: A. B. Guthrie, Jr. I love to read and I will read anything and about twenty years ago I discovered that I really enjoy a good western story. I really enjoy traveling to and spending time in the American West. It’s beautiful country, which finally made sense to me as I read the stories of Louis L’Amour and Zane Grey and a few others. But it is getting harder and harder to find new westerns to read and in fact many of the books that I come across are reprints or reissues. Christopher Kenworthy’s western, Unforgiving, is also a reprint, though according to Goodreads, it was first published in 2013 and a comment mentions that it was first published in 2007. Either way, it’s not too old. Unforgiving has all the hallmarks of the traditional western story. Former army scout and lawman, Mart Donahue, comes across the scene of what appears to be a vicious attack. A wagon is burning and two bodies lie nearby. Apache country is close and Donahue considers that the Indians may have done the attack. But more troubling is the fact that there are signs a woman was on the wagon. A woman who is now missing. Donahue reports the incident in nearby Tombstone where the Earps (representing the law in Tombstone) believe him (especially with the evidence he brings). But the missing woman’s fiance accuses Donahue of having something to do with her disappearance. Donahue wants to keep his name cleared and clean so that he can settle in the territory, and decides to go in search of the missing woman. But all is not quite what it appears and Donahue is getting himself into a pretty sticky situation (though he might be glad to be getting out of Tombstone right about now). Kenworthy does a really great job of introducing a number of historical characters in a very natural way, without making it seem like ‘this is an important person now.’ The story is action-driven, which, in a western, is not unusual, and Kenworthy brings the action right to the reader. In terms of characters, we only get to know Donahue and he is the typical, macho cowboy with plenty of real-world smarts and skills. We get to know the rebellious Ysabella just a little, but we see in her is just about as powerful as what we see in Donahue. My only real complaint with this book is that it was too short. I wanted another chapter or two at the end. And there was a part of me that wanted to see something stronger between Donahue and Ysabella as well, but a macho cowboy with a strong moral code isn’t going to take advantage of a woman who is in some way attached to another man, of course. All in all, a fun, fast western read. Looking for a good book? 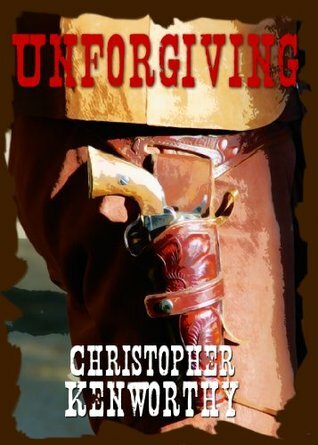 Unforgiving is a delicious, quick western, perfect for fans of the genre, by Christopher Kenworthy. 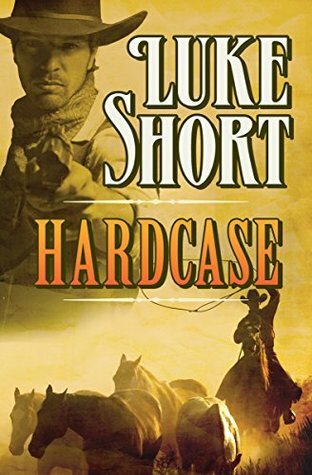 I’ve read a few westerns over the years (likely more than most but less than a true western aficionado) but I believe that this is the first book I’ve read by Luke Short – a name in the western genre that I recognize from my days as a bookseller. 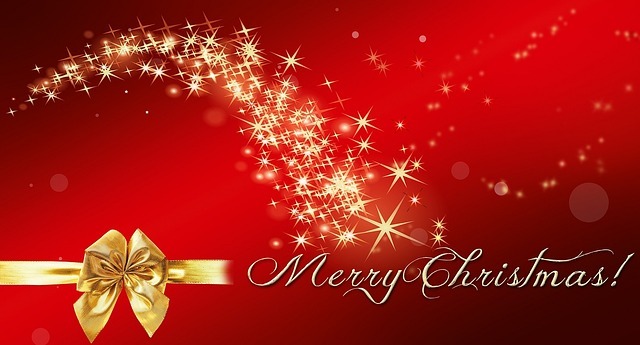 This story gets underway when a local postmaster sees a letter addressed to one ‘Dave Coyle’. Coyle is wanted, dead or alive, and the wanted posters are plastered all over the town of Yellow Jacket, as well as many other nearby communities. If somebody’s writing to him here, it can only mean he’s on his way, and if that’s true, trouble is sure to follow. But Coyle isn’t looking for trouble, but for Carol McFee – the only woman who ever believed in him. Every man in town now knows he’s on his way and is itching for the $7000 reward. Can Coyle get in and out without drawing attention – or lead? I enjoyed Luke Short’s writing. It is crisp and sharp and it paints a picture of the west much like that of Louis L’Amour and other popular western authors. Short’s story, on the other hand, rambles a bit and there were actually times when I wasn’t sure who I was supposed to be rooting for and who was the current villain. Some of that is by design, of course. Short is trying to weave a bit of mystery here and is showing us that all is not as it might seem. A strong story of mistaken identity or villain wrongly-accused or criminal with a heart of gold is nice to have, but this one comes across as an author who wasn’t sure where the story was going to lead and skims across a bunch of possibilities before settling in and closing down. I look forward to reading some more Luke Short, but this particular title didn’t ‘wow’ me. Looking for a good book? Hardcase, by Luke Short, is a western that rambles a little more than it should and instead of a tightly woven work, we get a bit of a mess. While I enjoy reading westerns I can’t say that I have read a wide range of authors in the genre. A. A. Glynn is a new name to me and so it was fun to go into this book not knowing what sort of story and characters Glynn would bring. Gun Feud is a pretty typical, classic western story. There’s a ‘bad’ guy who controls a lot people and a community and a ‘good’ guy, whose brother was killed while he slept by the bad guy. Our protagonist is Will Callender who has a score to settle with Cy Tambaugh. Callender tracks him down but Tambaugh has set himself up nicely in a small community where he has plenty of hired guns working for him. He also owns the local law enforcement. Callender first sets himself up in the sheriff’s office (he has a little bit of a background working with the Rangers, we’re told) and then waits for Tambaugh to come after him. But Will isn’t going to be as easy a target as his sleeping brother was. In a showdown in town, Callender taunts Cy enough that Tambaugh’s hired guns send him out to shoot it out for himself. This is a pretty quick read and I would advise the reader not to look too deep for anything. Everything is presented right on the surface for the reader and just like a classic western, things happen just because they should. For instance … taunts draw a man out? A girl we’ve barely met is suddenly in love with the hero? Well of course – this is escapist fiction and it works as such. This is a very quick read (one, maybe two days worth of reading time) but it’s full of action and some typical mano-a-mano machismo that you would expect in a story of the old west. Looking for a good book? 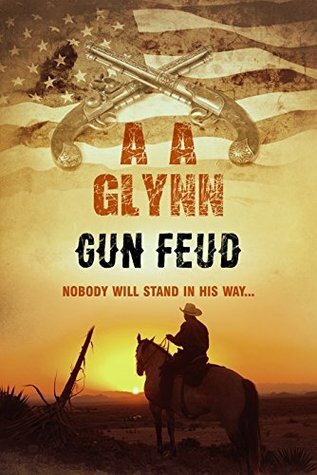 A.A. Glynn’s Gun Feud is a fast, action-packed story of the old west that doesn’t stand with much character building but draws on old west stereotypes.